The continuation of great orchestral playing is at the core of our learning programmes, which is why we work with the next generation of orchestral musicians through our partnerships with the Southbank Sinfonia, Guildhall School of Music and Drama and Royal Northern College of Music. In addition to our work with Young Professionals, we run a Front Row scheme, offering all young people exclusive opportunities to engage with the Academy. For over a decade, players from the Academy have been mentoring the orchestral players of the future, working side by side with members of Southbank Sinfonia. This training ensemble provides performance and collaborative opportunities for young players making the transition from studying at a conservatoire to playing for a professional orchestra. The Academy is Southbank Sinfonia’s chamber orchestra partner, and as such provides distinctive training for the young ensemble in the performance of chamber repertoire, communicating and working effectively as an ensemble, and making artistic decisions. The members work in the spirit of the Academy orchestra, performing without a conductor as a collaborative ensemble. The project promotes musical entrepreneurism and refines the fundamental attributes required of prospering ensemble musicians, ensuring that Southbank Sinfonia members are equipped for a career in the orchestral sector. 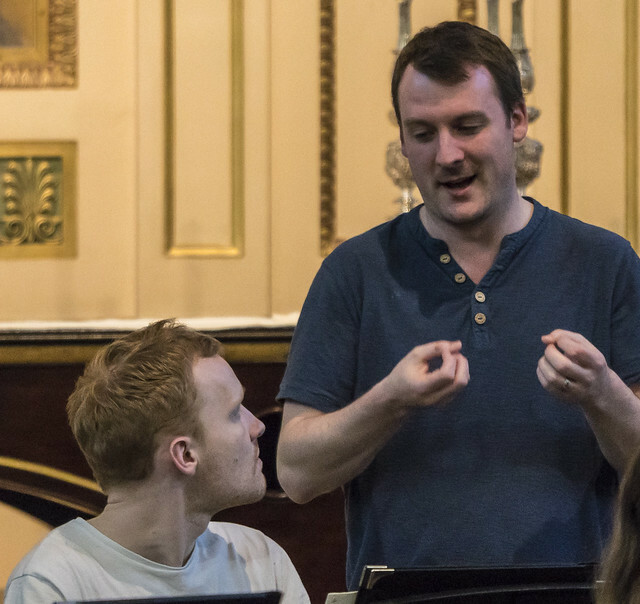 The Academy’s partnership with the Guildhall School of Music and Drama provides opportunities for orchestral artistry students to visit rehearsals and see how Academy musicians approach repertoire, before trying it themselves through one of our repertoire workshops. Our collaboration with the Royal Northern College of Music includes an annual two-day residency, working side by side with the whole orchestra. 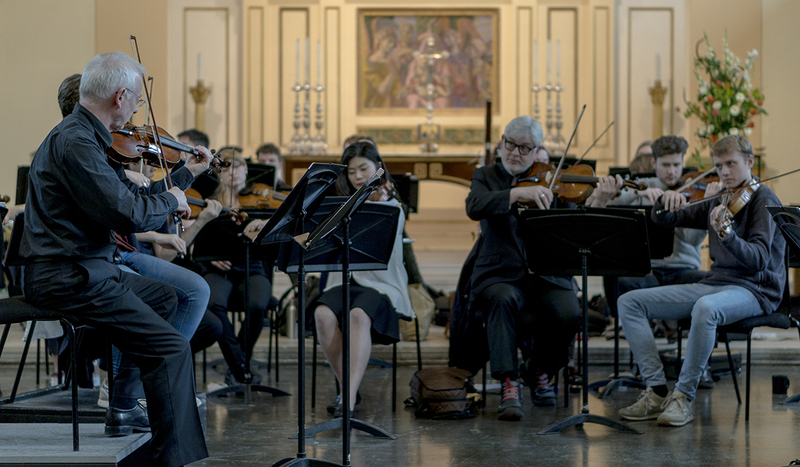 The images in the below slideshow were taken at St John’s Waterloo in May 2018, when Academy musicians James Burke, Jo Hensel, Robert Salter, Robert Smissen, Stephen Orton and Lynda Houghton worked on music by both Felix and Fanny Mendelssohn with the young professionals of the Southbank Sinfonia. View more images on the website of photographer Evelina Hepp. James Burke is Principal Clarinet of the Academy of St Martin in the Fields and regularly coaches young professional players as part of our Side by Side scheme. In this interview James discusses the importance of music education and the effect it has had on his life. Our Front Row scheme for students and under 25s gives young people who are passionate about classical music an exclusive opportunity to engage with the Academy. By subscribing to our Front Row mailing list, members are offered exclusive opportunities to attend open rehearsals, join our musicians and soloists in Google Hangouts, and to purchase front-row tickets to the majority of the Academy’s London and UK concerts for just £5. Click here to join our Front Row mailing list to receive ticket reminders and exclusive Front Row event invitations.